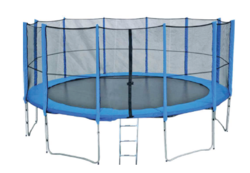 Prominent & Leading Manufacturer from Noida, we offer trampolines, trampoline with safety net (8'), trampoline gsd, smile trampoline, trampoline and baby trampoline. 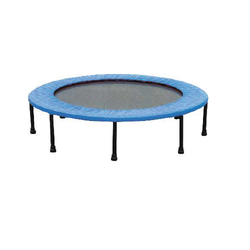 We offer Trampolines to our clients, where a large number of play systems for children are offered to children. 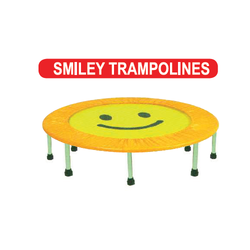 These are designed and made as per the heights and sizes of children of a specific age group. Made using high grade material, these systems comply with the international quality standards. 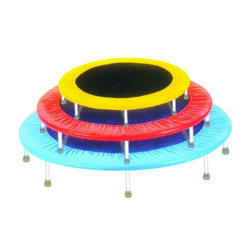 We make sure that these are designed in a way that the kids are completely safe in these trampolines. 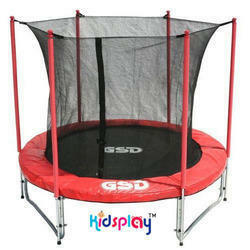 We are a well-renowned organization in the industry to provide our patrons the best quality array of Baby Trampoline. 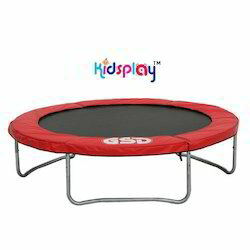 45"
We are a well-known company in offering Kids Playing Trampoline, which is widely renowned for its durability and high quality. For more details and sizes please contact.